Dr. Earl Chambers is proud to lead our dental team with great skill and compassion. He looks forward to serving you and your family! Dr. Chambers is thoroughly educated in all forms of dentistry. Prior to earning his doctor of dental surgery degree, he attended St. Mary’s College in Maryland as an undergraduate. He then graduated from the University of Maryland Baltimore College of Dental Surgery in 1991, and went on to complete a one-year general practice residency at York Hospital. Dr. Chambers continues his education in dentistry hourly and daily; he sees continuing education as a never-ending pursuit. 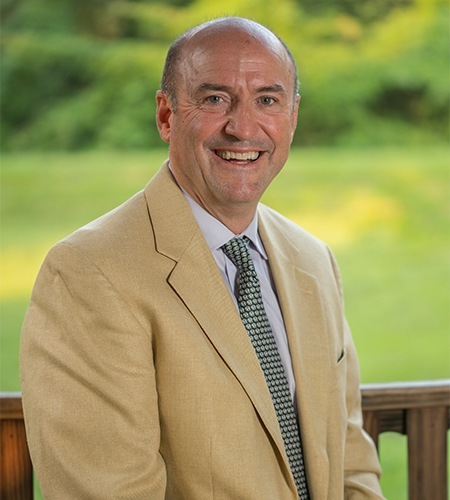 He has been proud to serve the Annapolis area for over 20 years, and is excited to continue working hard to provide great results for all his patients. Dr. Chambers is a member of both the Academy of General Dentistry and the American Academy of Cosmetic Dentistry. His goal as a dentist is to make a big difference locally and a small difference globally; as part of his efforts to achieve this goal, Dr. Chambers works with Dentistry for the Disabled and the Stanton Dental Outreach Clinic. Dr. Chambers believes that a dental practice is no greater than the sum of its parts, and our wonderful team at Chambers Family Dentistry is a testament to this equation. He loves working with our talented team members to provide you with exceptional care. Family is very important to Dr. Chambers. He has four fantastic children, three sons and one daughter. Dr. Chambers’ wonderful wife is also an accomplished pediatric dentist in the Annapolis area. Dr. Chambers is thankful for the very beneficial experience of practicing with his now-retired father for almost 7 years. The Chesapeake Bay tops Dr. Chambers’s list of hobbies; he loves everything about it!